Does your Practice have guidelines on phoning patients at home? We all know of the obvious one and that’s not to leave a message of any kind on a landline because of confidentiality. But when is it a good time to phone when you need to speak to a patient? Perhaps it’s relaying on a message from the Doctor or Nurse, or just to let them know there is a prescription to collect due to recent tests coming in. I will give you an example on how consideration should be made when phoning a patient at home. Someone close to me has for the past 6 years been trying for a baby without any success. The couple have been through many hospital and doctors visits, pregnancy results and alternative treatment to try help them achieve a pregnancy. They finally went through IVF earlier in the year with the daily injections, hormone changes and finally the heart-breaking news that it hadn’t worked. They set their sights on more IVF in 3 months’ time. An eternity to them both. But to all our surprise and delight a month after the failed IVF they fell pregnant naturally. Fast follow to her being 6 months pregnant. She hadn’t had an easy time, morning sickness and fatigue hit with a vengeance, she also has an over active thyroid that needs monitoring throughout the pregnancy and she also found out that she was rhesus negative blood type and tests would have to be done when the baby was born to see if she needed an anti D injection but the delight of finally being pregnancy got them through all of these hiccups. Her symptoms were getting worse and she was feeling poorly with no energy she seen the doctor and bloods were sent off to check for her iron levels. So last Wednesday morning she was in bed. It was 7.55 and the telephone rang downstairs. They have elderly relatives and she immediately worried something was up. No on every phones at that time unless its urgent she thought. She rushed out of bed, rang down the stairs and as she picked up the phone it stopped. She waited for a message but then her mobile started ringing upstairs – she panicked as someone was trying to get hold of her. As she ran upstairs to get to the phone she tripped on the stairs and fell. In the panic she got up and answered the telephone to find it was her Doctors Receptionist telephoning to say that there was a prescription in reception for her to pick up for iron tablets. As you can imagine she was upset as the fall. As the day went on she couldn’t feel much movement from the baby and this caused her a lot of distress, until she finally telephoned her midwife to asked her to come straight into the maternity hospital to check the baby and to have an anti D injection. So, did the Receptionist really need to phone at 7.55 in the morning? I don’t think so. This telephoned caused a lot of unnecessary worry and inconvenience not to say how awful it could have been – but we wont do there! And not to mention how bad the Receptionist would have felt had she had known about the fall. There should always be a guideline for people being telephoned at home unless it is urgent of course. 7.55 is far too early, what if it had been an elderly or disabled person doing the same thing? A fall could have been a disaster for them. When training staff I always told them unless urgent no patient should be telephoned at home before 9.00 and if possible leave it until around 10.00. More and more surgeries are opening up earlier than every before, so perhaps guidelines should be set to what time Receptionists can start to phone patients. Answer machine messages – get it right! Are you confident that your answer machines messages are kept updated? Messages can change on a daily basis and often several times a day. 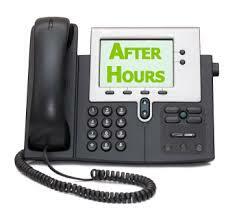 Advise callers of your opening times – ensure that you have the correct up to date information available. Try to keep the messages short and simple – long messages can often lead to confusion. 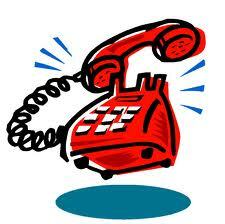 If you are giving out telephone numbers in the message it is often best to repeat them twice and slowly. How many times have you had to phone a number back just to be able to take down the telephone number because it was given too quickly? then for the Tuesday change the message again “The Surgery is open on Tuesdays from 08.30 am – 12.30 and again from 2.30 – 8.00 pm” – and so on. Remember to leave emergency contact numbers – when the surgery is closed – often these numbers can change so it is important to double-check that these are correct. 2. “My hours of work are 9.00 am to 1.30 pm. Please leave a message and I will call you back on my return. 3. “I am away until Monday 29th July – please leave a message and I will get back to you on my return – or alternatively please call Joan Smith on 34565. The three examples above both say the same thing “leave your telephone number and I will get back to you” but the actual messages are completely different – why? Is telling the caller that their call will be returned within a reasonable time – and the call should be returned asap – the message is indicating that the person is away from their desk and should be back within a reasonable time. 2. Is telling the caller their times of work – so if the caller is calling outside these times they are aware that the person will not be available until the times given. Good clear communication and no confusion. 3. Is telling the caller that they will be away for a long period of time and giving the caller the opportunity of speaking to another person – this is important in as much as the caller might need to speak to someone before the 29th. Giving the option of the caller speaking to someone else will also take the pressure of the person that is away until the 29th and coming back to a lot of telephone messages and perhaps frustrated people. Answer phone messages are great when then work – and can be frustrating for patients/customers when they don’t. Not having the correct message on your phone can often lead to misunderstanding and often can cause unnecessary added work pressure on others. Answer phones are great when they work properly. If you say on your message you will call back – make sure you do and within an acceptable timescale. My recent experience of a message only this week. I telephone a consultants secretary on Monday morning at 10.30 to hear a message telling me her hours were 9.00 – 13.30 Monday to Friday and she asked for callers to leave their number. I took from this that as I was calling within her working times perhaps she was busy – I left my number for her to call me back. To speak to the secretary I had to go through the hospital switchboard to be put through to her. By 1.30 I realised I was not going to hear back from her that day. So I left it, I had not heard back by 11.00 on Tuesday so I telephoned again (again going through the switchboard). I got the same message – so I left my number again. I tried her again at 12.30 and again at 1.20 – still the same message by this point I was on good terms with the switchboard operator. I did not leave my number as I had already left it twice at this point. By Wednesday I still had heard nothing telephone the hospital again and asked to be put through – the switchboard operator told me the line was engaged and did I want to hold – YES please, I wasn’t going to let her go this time. So, the message could have been better. She could have saved me time and money on the calls and also freed up the switchboard (can you imagine how many similar calls that were being put through to that number during that week). The Secretary would be coming back to 3 of my calls and how many more people had done similar. Perhaps she should have informed the switchboard staff that she was on holiday. This would have saved me time and calls and freed up the very busy switchboard. Had she put a message advising callers that she was not in the office for the week of (and given dates) it would have saved a lot of time, money and frustration and perhaps misunderstanding (as I was beginning to feel that my call was being ignored). It is just as important to leave an out of office” message on your emails too – especially if you are going to be away for any period of time – and again very helpful if you can give an alternative person that someone can’t contact in your absence. Systems like this work well – but they have to be set up properly in the first place.